Anyone can toss a TV and some speakers together and call it a home cinema. 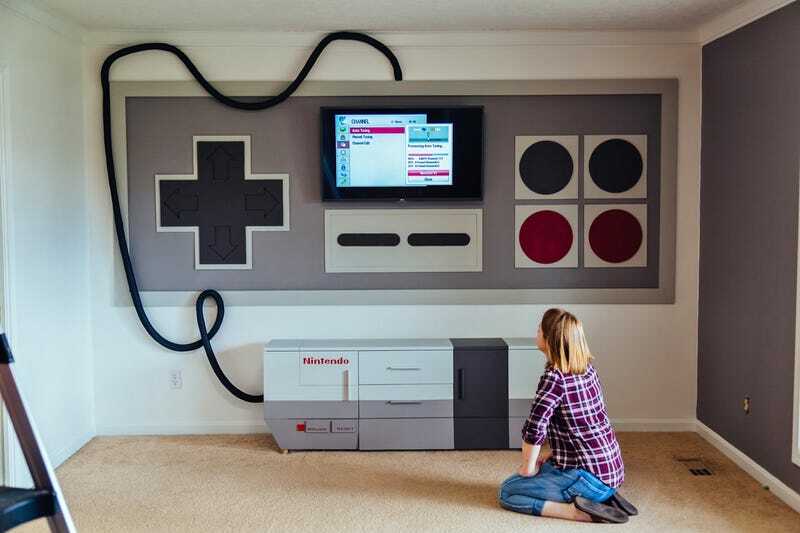 But like many who’ve gone before him, Imgur user tylerfulltilt went above and beyond the call of duty with a custom setup that pays homage to the original 8-bit Nintendo Entertainment System. All said and done the room conversion took about two weeks to complete, including a giant non-functional NES control pad on the wall that not only frames the TV, but also cleverly allows all of the necessary cabling to be left out in the plain sight. After all, wireless controllers simply didn’t exist back in the ‘80s. 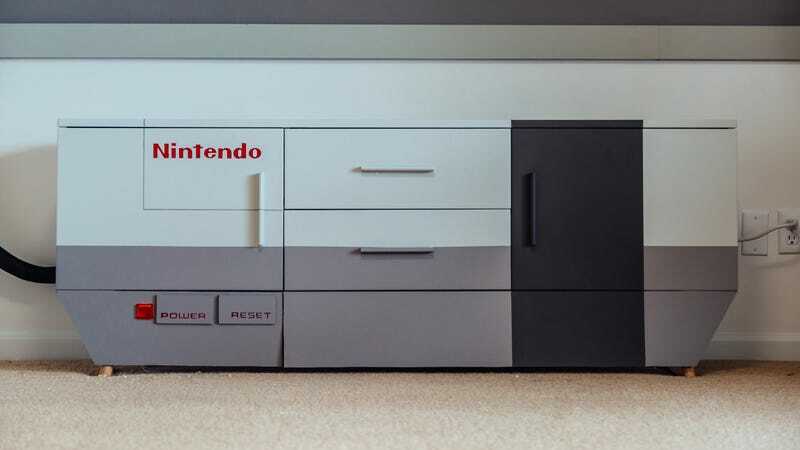 The room’s piece-de-resistance, though, is a three-drawer cabinet bought from Overstock that tylerfulltilt masterfully turned into an over-sized replica of the original NES for hiding consoles and other gaming paraphernalia. Two things are for certain with tylerfulltilt’s creation. 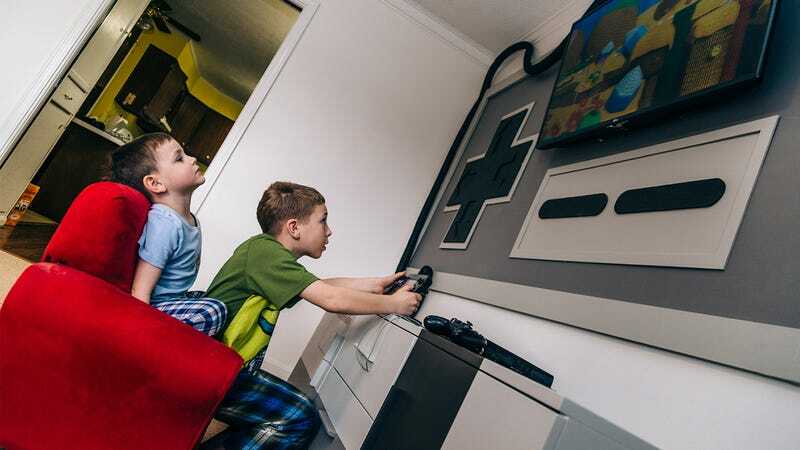 It is totally OK to be jealous of his setup, and his kids are sitting way too close to that screen.